This "pondok" which is called Madrasah Ad-Diniah Al-Bakriyyah, Pasir Tumboh is also known as Pondok Terusan Pasir Tumboh, Kelantan. This institution was built in 1954 by two brothers, Tua Guru Haji Abdul Aziz b. Abu Bakar and Tuan Guru Haji Mustapha b. Abu Bakar. At the earlier phase of its establishment, the number of student ( male ) was only 50. The lessons were conducted in wooden block measuring 30 / 40 only. The further development 1959 a mosque was built the cost RM45,000.00. This mosque was also used as a place for studies. The number of students increased to 700 consisting of local and foreign student Singapore and Thailand. And 1969 a new double storey measuring 40 X 40 was built with the cost of RM35,000.00. 1984 another double storey building was constructed nest to the mosque and it was used as an office, library an exhibition room. 1988 another double-storey building measuring 40 X 60 was built as a place for studying. The total of students now is 1500 and the teachers 34, excluding their assistants. 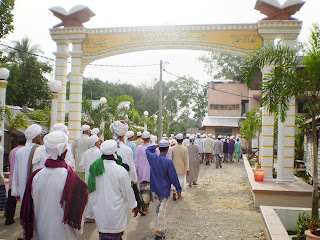 Location it just about 7 miles ( 11 KM ) from the main town of the state, Kota Bharu. The distance from the main road, which leads to Pasir Tumboh, is about a mile. This Pondok is also close to the Desa Darul Naim Housing estate an Mara Science College ( MRSM ). The main development of this institution is early seen in term of the increasing number of student from 50 at the early phase to 1500 at present. Besides that, the enrolment of female students has also increased due to public demand asking. ( The institution to opened to male students at the beginning of its operation). The institution has also established relationship with other institutions. This relationship is in term of exchanging of ideas towards the further improvement of its learning system. There is no exchanging of teachers because this institution is a private Higher Religious Learning. However, every students in this institution is familiar with other religious in their respective districts. For relationship with outside bodies the "Pondok" institution is a private body, thus they are not fond of accepting help and donations from outside bodies, especially the government whose source is full of uncertainties ( in term of "halal" and "Haram" ). They solely depend on public contribution and donation, student registration fees and also the administrators thriftiness. The teachers teach voluntarily without taking any pay or salary. Student are forbidden from getting involved in politics to uphold the Pondok good reputation . however , Islamic struggle is still the main objective of the institution. This is realized by producing students with Islamic understanding and capable of upholding on this universe. The "Pondok" system is a centre of Islamic studies which instills the Islamic spirit and inculcates spiritual elements in the sole of every individual student. This is targeted toward the development of excellent "Mukmin". It is a system descended from "Ulamak" ( religious guru ) and guided by "Tuan Guru" who is independent of others, seeks only the help of Allah.And also not hoping for high position in this temporary world. Their supreme aims are seeking Allah’s blessing, abolishing bad morality and Islamic illiteracy among Muslims and upholding Islam. 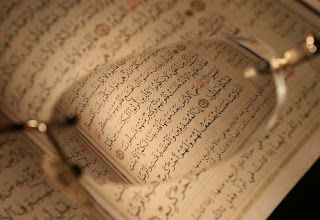 It also aims to practicing of the Islamic knowledge. The institution is used a place for studying various religious knowledge. References are the old books which were written and edited by followers of "Mazhab Syafie" and other "Mazhab" who follow the "Sunnah Wal-Jamaah". Discipline and practice are obligatory in order to achieve the aim of molding a decent personality in every aspect such as clothing, words and deeds which will increase the degree of closeness to Allah in order to become excellent Muslims. Objective for upholding the "Pondok" studies to make the "pondok" studies as an Islamic learning centre theoretically and practically. To seek Allah’s blessing and to abolish bad morality. Produce knowledgeable, practicing and brave generation who is full of "Takwa" ( fear of God ). Next week student antarabangsa dari UIA Gombak akan dtg Pondok pada 16/7. Enta boleh minta Hazrel translation pamphlet dalam bahasa Inggeris yg sudah diedit.